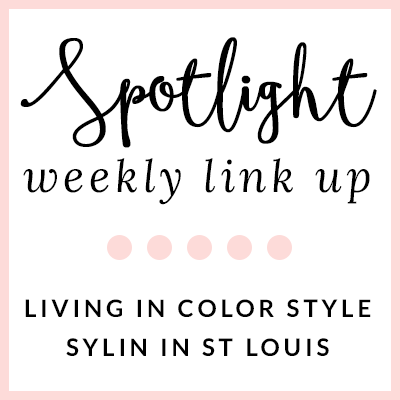 Stylin in St. Louis: Spotlight of the Week: Pastels…. 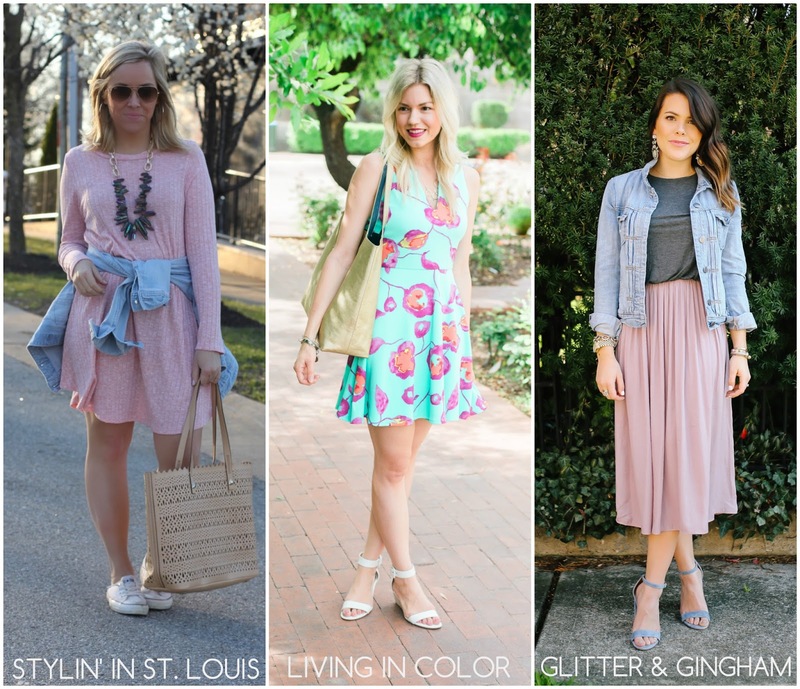 Spotlight of the Week: Pastels…. 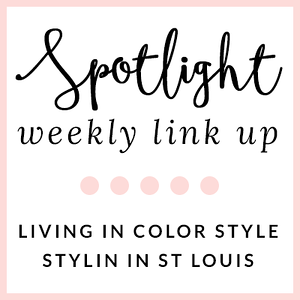 Next week: Next week out spotlight weekly theme is spring shoes! Thanks for linking up! See you next week! Hi everyone! When I think of spring, I always think of pastel colors! They are so soft and so refreshing after a cold winter! Come share your pastel looks with Elle and I! 1. 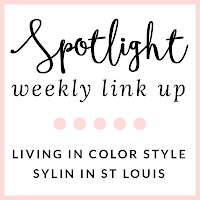 We kindly ask that you follow the two hosts: Elle from Living in Color Style, Jacqueline from Stylin' In St. Louis, and our co-host Shelby of Glitter & Gingham via Bloglovin or GFC. Spotlight: Our spotlight of the week is Jaylnn of The Red Closet Diary. We just adore her floral dress! It is the perfect piece for spring! Be sure to check out her blog! Your little pink dress is so cute. That dress is darling and looks comfy too! You always look so good in pink, love the dress and chunky necklace with it! Such a cute, comfortable looking dress and love the bag! Such a pretty dress on you & love that tote bag!! Pretty in Pink - Have a wonderful Easter!!! Love your dress! The color is beautiful and it is perfect for Spring! Such a cute and comfy dress! Love the pastels! Cute and comfy look! Such a cute dress! I love how you dressed it a little down, too! Such a cute dress, and it looks so comfortable! Love mixing chambray with this blush color for spring. First time joining the link up! 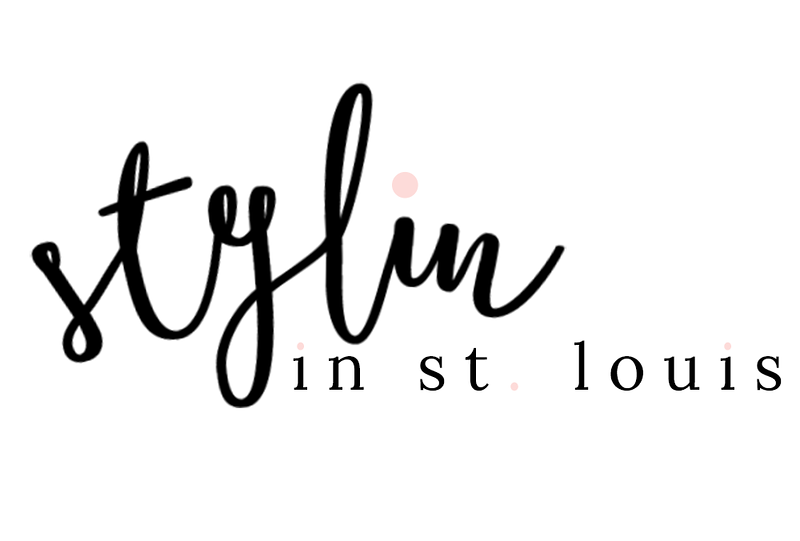 Just followed you girls on Bloglovin, so fun! Such a great Spring outfit love the colors of it! I did not expect to love the Pantone colors as much as I have. So fun! You look great in your dress. Love that color on you, very pretty! looks great on that color! pretty! Obsessed with that dress! It's beyond perf for Easter! I am loving this look! I love how it's perfectly casual but with a touch of dressiness. The color of you dess is perfect as well! I will be adoring this kind of seem! I enjoy just how it really is flawlessly everyday yet together with some dressiness. Along with regarding an individual dress is perfect at the same time and to know more learn you'll discover personalized shoes intended for adult males, women of all ages in addition to young children. You'll discover Personalized Spiked Timberland Shoes, Rhinestone Beat Shoes, Pearl Shoes, in addition to Winter weather Environments Shoes. Likewise check out your completely new personalized element: "Customize Your individual Shoes and boots, inches suggestions to select from one of a kind posters and in some cases upload your individual print out towards favorite Timberland model.